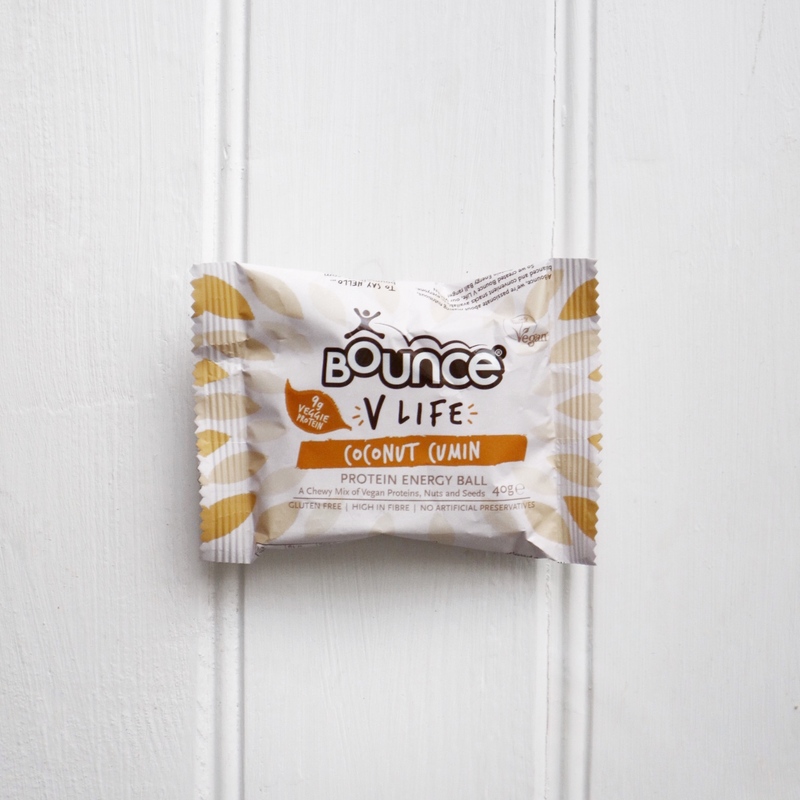 Bounce have recently released an entirely new range of vegan protein energy balls! Happy times for a dedicated snacker like myself… I have recently seen these pop up everywhere and I was lucky enough to receive a handful of goodies of their new line to try and oh boy: I think I’m completely addicted already! 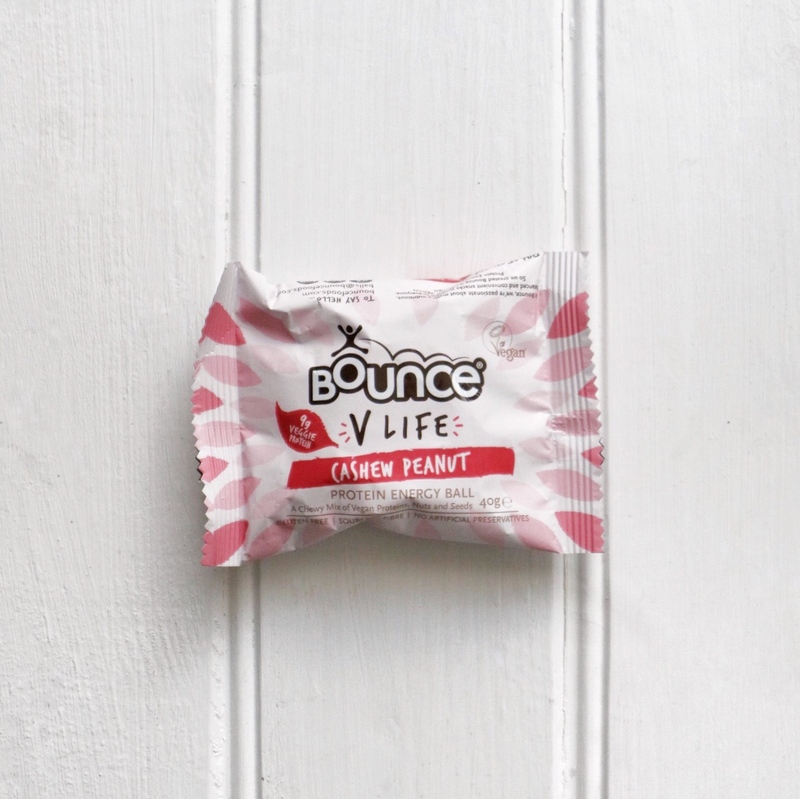 Bounce have actually been around for over 10 years already and started out in Australia and their products currently fall into 3 categories: Bounce Energy Balls, Bounce V Life (these ones are vegan!) and Bounce Protein Energy Bites. 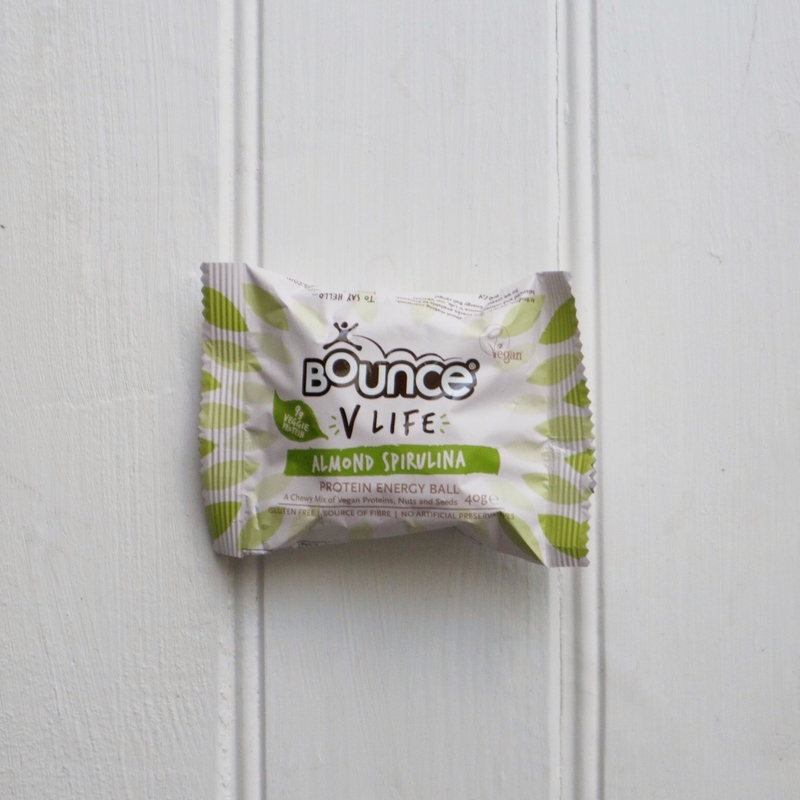 With their new V Life range it is so much easier to spot the plant based Bounce balls – they already had vegan options before, but the packaging was so similar to the non-vegan ones, it was easy to grab the wrong one. To be honest, at first I thought I had accidentally opened the Almond/Spirulina package – which I had tried before! Both flavours are so similar and totally reminded me of marzipan (and I love marzipan!) – so this one was a great treat for me! Absolutely the perfect snack on the go for the little hunger or a sweet craving! Totally nuts for this one! Loving the strong peanut flavour, especially as a huge nut butter fan like myself. This one would be my perfect pre-gym snack to give me some extra energy with a protein boost! I surprisingly absolutely loved this one! I have to admit: I was sceptical about the cumin at first – but it fit in just perfectly with the coconut. Big plus from me! I think this should already be reason enough to love these as a snack. As they remind me so much of German cake with marzipan I thought: hey, cheesecake! So this happened. 1. 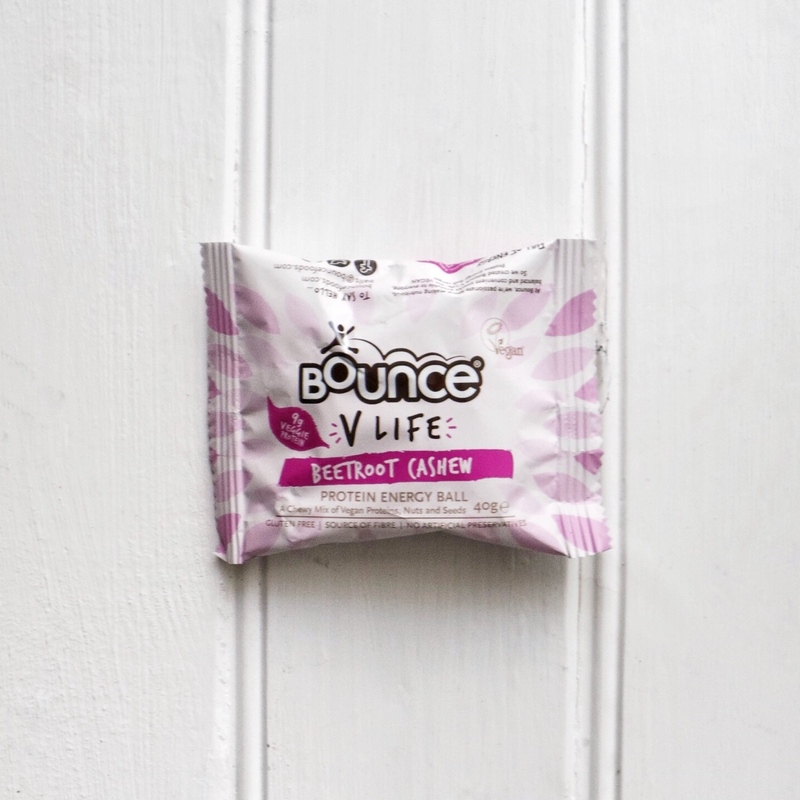 To create the base: Unwrap the Almond Spirulina Bounce Balls and break them in halves, then roll them using your hands. 2. With a rolling pin, flatten each piece until you have a round flat surface. 3. Process the soaked Cashews in a food processor or using a stick blender until you receive a smooth paste. 4. Add the rest of the ingredients and process until well combined. 5. Transfer to the fridge for 30 mins, then add to a piping bag and pipe onto the flattened Almond Spirulina Bounce Balls. 6. To create the spirulina cream, simply mix both ingredients and top your cheesecake bites with a spoonful.